Our Bachelor of Medicine (International Transfer) programme welcomes international students from the International Medical University (IMU) in Malaysia, and the University of Brunei Darussalam (UBD). You have the opportunity to complete your clinical medical studies at a global university that is ranked in the top 100 universities in the world for Medicine and Life Sciences*. You will start with a bespoke 12-week module specifically designed to introduce IMU and UBD transfer students to undergraduate Medicine at Southampton. Our staff have been nationally recognised for their teaching innovation and excellence and will enable you to develop critical thinking and independent learning skills that are essential for future leaders and decision makers. The Bachelor of Medicine (International Transfer) programme at the University of Southampton is based within a thriving and ambitious, multidisciplinary medical school that has an outstanding reputation for combined expertise in research and teaching. 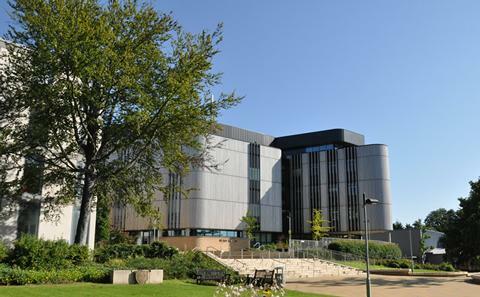 The University of Southampton is a national leader in medical education and a founding member of the Russell Group universities, and our innovative and inspirational medical education is taught by academics who are experts in their fields, continually embedding the latest research into the curriculum. You will spend three years learning in a range of clinical environments such as general practice, community medicine, and hospitals within the Wessex region - including the University Hospital Southampton NHS Foundation Trust one of the UK’s leading teaching hospitals. One of the most fortunate experience I had when coming to the university was the introductory module. The introductory module has given me an in-depth insight of the NHS system, patient communication skills in UK and most importantly what clinical skills our current batch has experienced. Unlike other partner schools where you start SUDDENLY, we were given a generously fair couple of months to help us blend into the system, culture and the UK before we started our clinical phase. For this I will forever be grateful. Southampton is one of the UK’s leading medical schools, delivering 40 years of medical education, training thousands of doctors and scientists, and leading cutting-edge research in a range of diverse areas including cancer, genomic medicine, respiratory disease, nutrition and epidemiology. You will arrive in September and begin with a 12-week module Introduction to Clinical Medicine in Southampton, before following the same curriculum as the BMBS5 programme for the remainder of year 3, year 4 and year 5. The module will introduce you to studying as an undergraduate in Medicine at Southampton. You will be familiarised with key areas of UG study and practice including academic and study skills; communication with peers, teachers and patients; an understanding of the UK National Health Service; hospital and primary care environments; fundamentals of research and the nature of evidence. You will join the rest of the BMBS5 Year 3 students at the beginning of January. From January you will undertake clinical placements in hospitals and general practice in the Southampton, Portsmouth and Winchester areas. The focus will be on the effects of clinical disorders on patients and their families, continuing the development of your clinical abilities and the reinforcement of systems courses and social science teaching. In your second year in Southampton (BMBS5 year four) you will undertake placements in a range of clinical specialities in Southampton and a range of hospitals around the region. In your final year you will gain experience in a wide range of hospitals, communities and general practices in the south of England and have an opportunity to undertake an elective placement in an area of your choice. You will be attached to a variety of clinical teams on an apprenticeship basis, learning the skills required to begin your Foundation Programme. Your Final examination will be taken around January and February, after which you will undertake a compulsory "preparing for practice" phase of the programme to ensure you are ready to start work before graduation. We provide many opportunities for medical students to work and learn alongside other health professional students during their clinical placements. In addition there are a limited number of places available for BM5/6 medical students who wish to take an intercalated classified honours master's level degree (Master in Medical Science). Studying for the intercalated master's degree takes place between years three and four, extending the BM programme by one year. Applicants will be selected on the basis of their performance during the BM programme. This provides a particular opportunity for students interested in pursuing a career as a Clinical Academic doctor. All programmes at the University of Southampton are taught and assessed in English (other than those in modern foreign languages). Every year we welcome up to 14 students from the IMU in Malaysia and two students from UBD in Brunei. Applicants applying for the BM (IT) must have completed the Advanced Diploma in Medical Sciences at IMU, in Malaysia, or the Bachelor of Health Science at the UBD, in Brunei. You will learn through a combination of teaching and clinical placements from our expert staff who are nationally recognised for their teaching innovation and excellence. Specific teaching and learning methods used include lectures, tutor-led tutorials, practicals, guided self-study, problem-solving scenarios, role play, projects, group work, portfolios, study packs, eLearning, and patient-based learning. A range of assessment methods are used depending on the learning outcomes. Coursework will include: essays, reports, posters, project reports and presentations. Examinations will include written tests and tests of clinical performance. 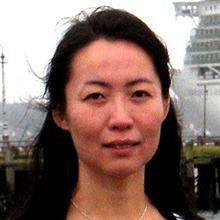 Dr Ruihua Hou is an Associate Professor in Psychiatry within Medicine at the University of Southampton. 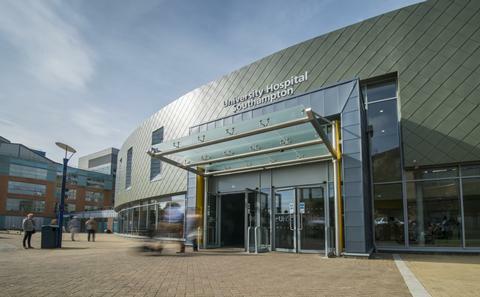 University Hospital Southampton is the Trust’s largest location, with a great number of specialist services based here, ranging from neurosciences and oncology to pathology and cardiology.